Precast prestressed concrete girders have a tendency to creep upwards over time due to the prestressing force and other effects. If a girder''s ends are restrained by a pier or diaphragm, forces will build up in the girder due to the creep. Typically, the ultimate restraint moment in a girder is a positive moment. This moment combines with other moments in the girder, creating an increase in the mid-span positive moment and a decrease in the negative moment over the piers. In essence, the continuity of the girder is reduced, and the continuous forces move towards simple-span values. Why would I want to calculate restraint moments? 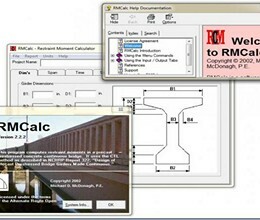 * RMCalc download link provides freeware version of the software. 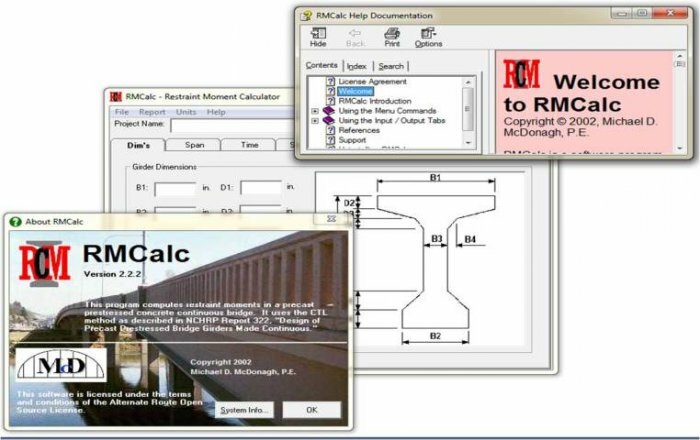 No one has rated RMCalc yet. Be the first to rate this product.